In this guest blog, Michael Carr co-founder of GoRoadie covers the top reasons why Dundee is an awesome place to build a startup! GoRoadie are a brilliant new startup in Dundee dedicated to connecting learner drivers with the driving instructor that suits them, while creating tools the help make instructors day-to-day easier. Let’s check out Michael’s thoughts on dazzling city. I’m Michael Carr and I am the co-founder of GoRoadie. Over the past year, I have been building this startup in Dundee with my co-founder, Barry White. I’m proud of this city, especially seeing how far it has come in the last five years. Being a co-founder of a startup, I’ve been thinking about what a great place Dundee has become for growing a new business. I decided to compile a list of why startups and business should consider Dundee when building or launching their new products. Dundee is not new to technical innovation. Aspirin, the Radio and Grand Theft Auto all hailed from this fine city. The city has been pushing boundaries ever since the 1800s with the inventions I just mentioned and even The Discovery ship, which ventured into the unknown. It’s recent history really stands out in terms of innovation. New businesses can take their place along the prestigious history. 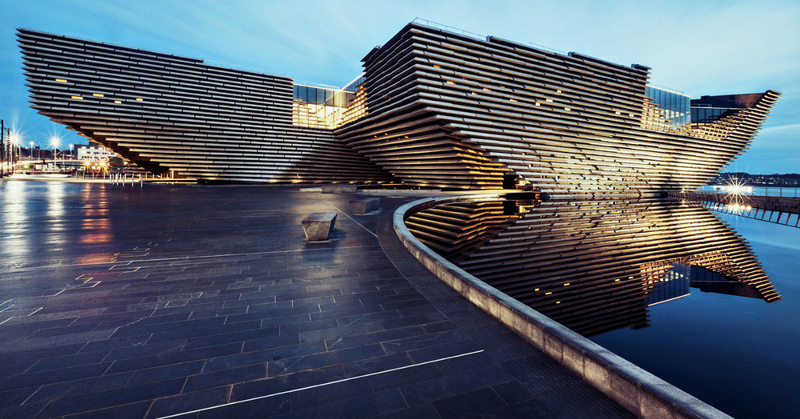 Dundee is all about the V&A in 2018. This museum has been in construction since 2014 and is getting ready to launch on September 24th 2018. The world has its eyes on the city, which means it could have its eyes on your startup too! The Los Angeles Times, The Guardian and Bloomberg to name a few, have been touting Dundee as the place to be this year. With so much press around the city, which will surely only intensify as the year goes on, Dundee is definitely the place to build your new business in 2018 and beyond. Need some proof that Dundee is ready to host the latest and greatest startups? Just look at how new accelerator programmes are coming to town. Chris Van Der Kuyl, the man who created several Dundee games studios and brought Minecraft to the X-Box, Playstation and Nintendo Switch, has an accelerator programme launching later this year with Seed Haus. In September 2017, Acorn Enterprise launched in the city and have been running business courses helping entrepreneurs realise their full potential. Acorn have successfully run 9 Business Accelerator Programmes in last few years and firmly have their business helping Dundonians startups. They just launched their latest programme in February, but have another one planned for later in 2018! Don’t miss out. 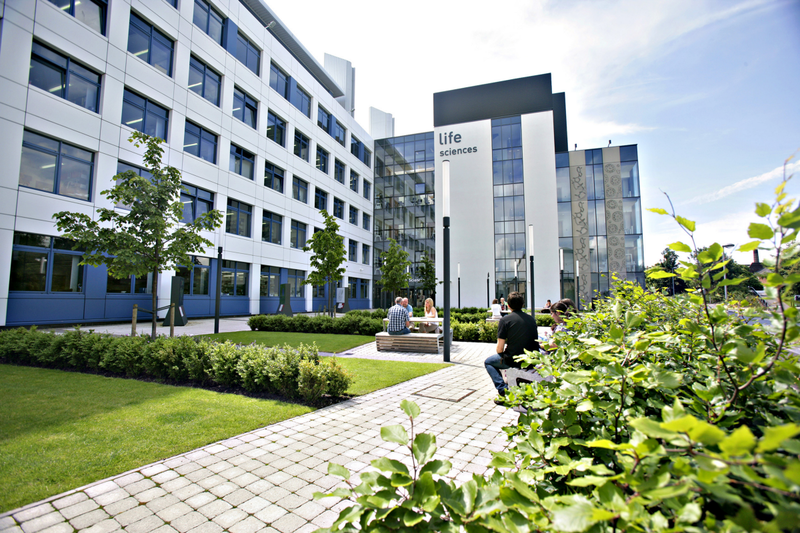 Dundee is a popular student city! The universities are known for drawing in students from all over the world. With two universities to choose from, there are plenty of students in Dundee that are willing to take part in user testing, which is great for validating and tweaking ideas early on. Both universities hold numerous meet ups and exciting events throughout the year e.g. Duncan and Jordanstone Degree Show or Abertay University’s Creating New Industry talk. These events are great for meeting like-minded entrepreneurs. Sponsoring events is also an effective method of raising awareness of your brand. Dundee is becoming even more of a beautiful city, and its cheaper to live in than other major cities. Why does that matter? Well for one, it will be cheaper for you to start a business somewhere where outgoings on rent and food are less expensive! The city is 14% cheaper to live than the UK average. This makes Dundee a more economically friendly place for you to start your new business. Michael is the co-founder of GoRoadie, a Dundee based startup that helps driving students find the right driving instructor for them. GoRoadie currently specialises in Dundee driving lessons and helping driving instructors gain more business.